Two high level Brazilian Jiu Jitsu brown belts are set to go head to head in a featured “super fight” this Sunday, December 3rd in New Brighton, MN. The Minnesota Brazilian Jiu Jitsu Federation announced that Internationally ranked Chris Dachel of Spartan Martial Arts and Minnesota School of Martial Arts’ Iron Man Marvin Blumer will meet in one of three marquee matches at this Sunday’s BJJ tournament. A full day of competition will take place on top of the super fights which includes kid, teen and adult divisions. The action kicks off at 10AM at the Irondale High School. Dachel is a 10 year Brazilian Jiu Jitsu veteran that has successfully competed all over the country. In 2016, he stamped his name on the international map by placing second at the 2016 World Master Jiu-Jitsu IBJJF Championships. Blumer is considered to be one of Minnesota’s top mixed martial artists and began focusing heavily on Jiu Jitsu over 9 years ago. Blumer holds wins over skilled brown belts Dan Moret and Derek Getzel among others in recent competition. 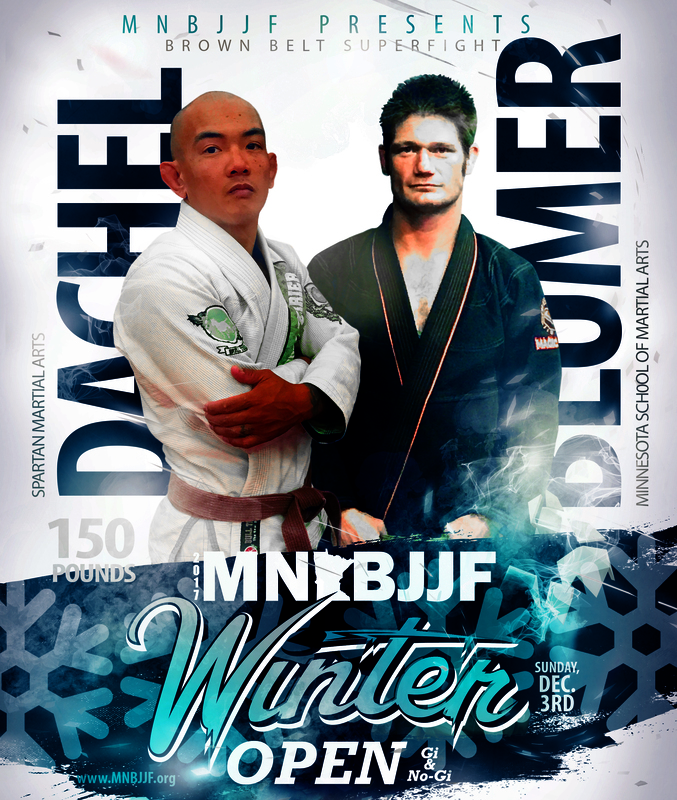 Minnesota Fight News caught up with Blumer and Dachel to learn more about the grapplers Brazilian Jiu Jitsu roots, what they expect this Sunday, and more. MN FIGHT NEWS: Talk about your Jiu Jitsu background. 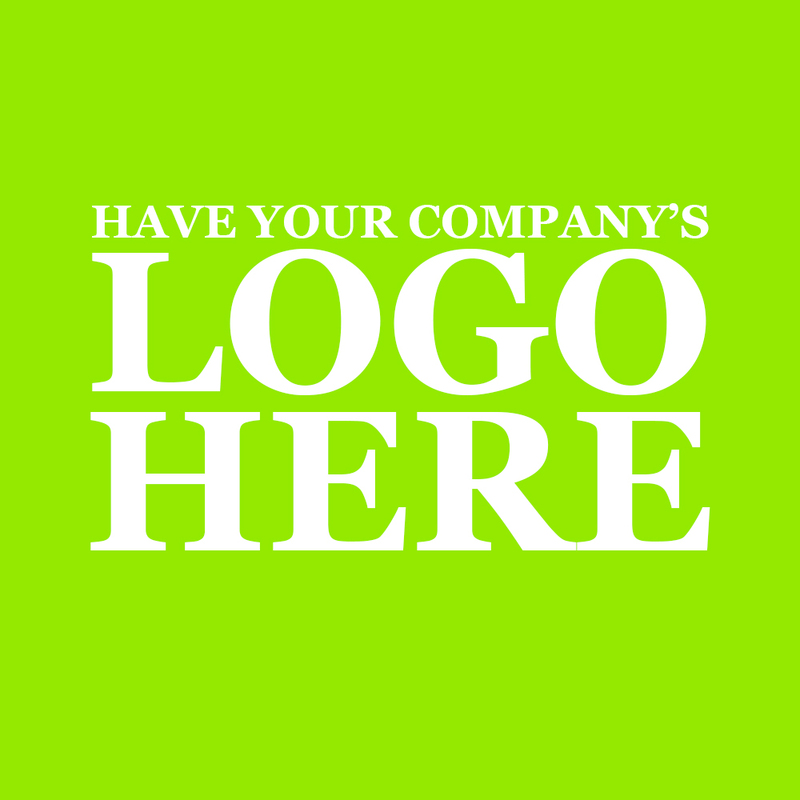 How, when, and why did you get started? BLUMER: I got started in Jujitsu in 2008. Out of necessity to improve my mixed martial arts game. As far as MMA went, I was a striker. So when I hit them they would try to take me down. As Royce Gracie said, “If your going to fight, but do not know how to fight on the ground, you probably shouldn’t be fighting”. Of course I needed to fight off my back if I kept getting taken down. I started training with my friends in a garage. Researching books and fights I had access to. That was a good start to learning Jiu Jitsu. But if I was going to excel in the sport, I needed to find somebody with better technique and knowledge of the sport. DACHEL: I Started in ’07. It was just a bunch of friends training together and not knowing a thing about what we were doing. Just no gi, I hated the thought of the gi. That lasted 3 months and then we quit. Sat around until winter of ’08 when I got the itch again. I started at The Cellar and Tom Schmitz started teaching shortly after I started. I began training under him in the gi, fell in love with the gi and never looked back. MN FIGHT NEWS: Jiu Jitsu has evolved and grown incredibly over the years. Talk about the differences that you see today as a sport and martial art compared to when you first began. BLUMER: The biggest difference in Bjj now as when I first started is how many different platforms there are to showcase your skills. When I first started there were maybe two or three local tournaments a year unless you wanted to travel to a bigger city such as Chicago. When I first started in Jiu Jitsu, there were maybe a handful of BJJ black belts in MN. Now it has grown to a vast amount of black belts and styles and schools. It is nice to see there is not only a lot more platforms but also another avenue to earn some money as a competitor. DACHEL: Jiu jitsu as a whole in the Midwest is pretty far behind the rest of the world in this sport. When I started there was only a handful of black belts in the area. Top students in my gym were blue belts or striped white belts. People weren’t traveling really at all for big international tournaments. That is really changing around here. It’s great to see! Minnesota is more heavily represented at the big tournaments now then when I started. In turn people around here are starting to see that it can be done and it’s really advancing the sport in the area. MN FIGHT NEWS: Today, you are teaching others Jiu Jitsu. Specifically kids and teens. But I’d like to ask you to talk about the people that were a part of teaching you going back from when you began and now today. BLUMER: My very first teachers in the beginning where Denny Anderson and Jamal Galehdari which both had a lot of high school wresting and some Bjj experience. We started the basics together and had an opportunity to train under Royce and Rodrigo Gracie through American Top team in Savage MN. We belted under them for our blue and purple belts. Through training under them I learned a lot of great techniques and grappling as well as self defense. Currently I teach and train at Minnesota School of Martial arts where we are a Cleber Luciano BJJ affiliate, where I have received my brown belt. It has been such a great honor to learn from some great BJJ practitioners, which has given me a very diverse BJJ style. DACHEL: Well, the first few instructors I had almost put me behind. After I started to get the hang of things, I began to realize that I was doing everything wrong and had to fix old habits. Professor Schmitz helped put me on the right track. As well as a lot of my beginning training partners that I still train with today. We helped each other figure things out by trial and error. MN FIGHT NEWS: Do you prefer gi or no gi, and why? BLUMER: I like them both for different reasons. I don’t have a preference. I like no gi for the fast pace scrambles and the ability to attack the feet in multiple ways. I like gi to be able to slow the pace and really be able to put the pressure on my opponent and force them “or ask them nicely” for the submission! DACHEL: Gi, no question. It’s the real way to learn jiu jitsu. Nothing at all against no gi. I really respect people with really good no gi games. The gi slows the game down and makes you really think about the moves and how to escape them using technique and not relying on strength and speed. MN FIGHT NEWS: Can you give us some insight into the kids Jiu Jitsu programs that you instruct. BLUMER: At MSMA our kids program is a combination of self discipline and mixed martial arts. We teach them self responsibility as well as stand up techniques and bjj techniques. Through our kids program I have noticed that BJJ really helps kids excel physically, mentally as well as socially. DACHEL: The program we’ve put together is very technique based. Focusing on building a solid base of knowledge that these kids can build a foundation out of. But really before all of that, our goal is to help every student improve on themselves individually. Our students first few promotions are solely based on seeing them improve on what they need to improve on versus being promoted according to a skill set. For example, if a student starts out and is great at the techniques and is very athletic but has a hard time listening and paying attention. That student’s first few promotions will be based on their ability to advance their listening skills versus their ability in Jiu Jitsu itself. We’re teaching these kids more then just Jiu Jitsu. It’s very rewarding to see these kids grow up into great human beings. MN FIGHT NEWS: Talk about some of the past Jiu Jitsu tournaments that you have competed in. Do you compete a regularly? BLUMER: I am always competing whether it is in MMA, Muay Thai, Boxing, BJJ or Judo. I like to at least get between 5-8 BJJ tournaments a year. DACHEL: In my early days I did every local tournament I could. As I got higher in ranks it got harder to find opponents around my size. Even in the beginning it was hard to find people my own size. Around early purple belt I started traveling to bigger international tournaments. Pan Am Championship, IBJJF opens, World Masters. In 2016 I placed 2nd of 22-23 at World Masters brown belt in Las Vegas. This will be my first competition this year due to injuries and the birth of my daughter. MN FIGHT NEWS: People are really excited for your featured super match on December 3rd. Style wise, this appears to be one of the more exciting Jiu Jitsu matches that could be made in Minnesota. What do you know about your opponent and what kind of match do you expect? BLUMER: Other than my opponent training at Spartan Martial Arts, I don’t know that much about him. We have yet to meet each other at a tournament that I know of. From what I have heard about Chris, he has a very diverse BJJ game which should bring a lot of interesting transitions, positions and submissions. I think he is a lot like me and will try to push the pace and you know me, I will always be attacking. DACHEL: I know that he’s very tough. I’ve seen him take and give out beatings in MMA. I know he owns a school now so he has to be training a lot. He’s got a few pounds on me so we’ll see how I deal with that. Other then that I don’t know much. I’m looking forward to the fight. MN FIGHT NEWS: Any closing thoughts you want to share? BLUMER: I would just like to say that it’s great to see BJJ continuously evolving into a better and bigger sport every year. I want to thank MNBJJF for asking me to participate at such a great event and I want to thank my teammates and my friends and most of all my family for supporting me. I think I’m one of the best grapplers in the Midwest if not in the world and cant wait to show that on December 3rd. DACHEL: I just want to say thank you to Spartan Martial Arts for being my Jiu Jitsu home for the last 8 years. Thank you to Ryan (Pottebaum), Randy (Santiago), Akeela (Al-Hameed), and Travis (Perzynski) for the extra work in helping me prepare. Thank you to MNBJJF for the opportunity to showcase my Jiu Jitsu. Dachel versus Blumer was the first of three super fights announced. All super fights will be gi competitions. The second featured match is between Jonathan Ranch and Hiago Adao in a 170 pound match. Ranch is a brown belt from World Jiu Jitsu Academy where he is also an instructor and a black belt in Karate. Hiago is a brown belt in BJJ training under Jose Varella and GFTeam and hails from Brazil. The third super fight that was announced is between Roland Larson and Jared Raths at 180 pounds. Roland Larson is a black belt under Chris McCune. He owns Hybrid Martial Arts in Monticello, MN and is affiliated with Rigan Machado. Jared Raths is also a Black belt and is from Rhinelander, Wi. Rath’s gym is called Groundworks Grappling and they are a Cleber Luciano Jiu Jitsu affiliate. Today is the final day for competitors to sign up for what is the last Brazilian Jiu Jitsu tournament to take place in Minnesota this year. The action begins at 10:00 AM and features both kids and adults, gi and no-gi divisions. 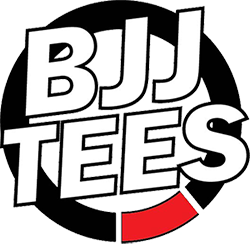 MNBJJF follows the rules of the Midwest BJJ Federation and IBJJF. All referees are brown and black belts. Visit www.mnbjjf.org to register and to see the latest competitor brackets. Spectator tickets are only $10 at the door. The venue is the Irondale High School located at 2425 Long Lake Road in New Brighton, MN.